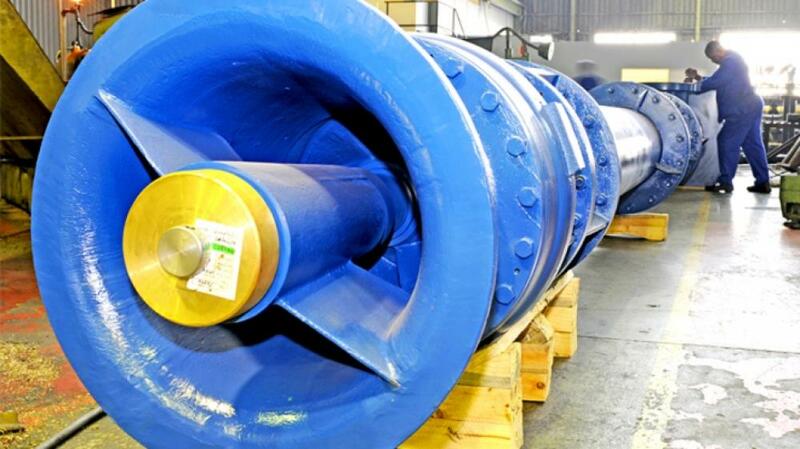 The pumps can be used in any industrial or agricultural application. Civil work is easier and cheaper. 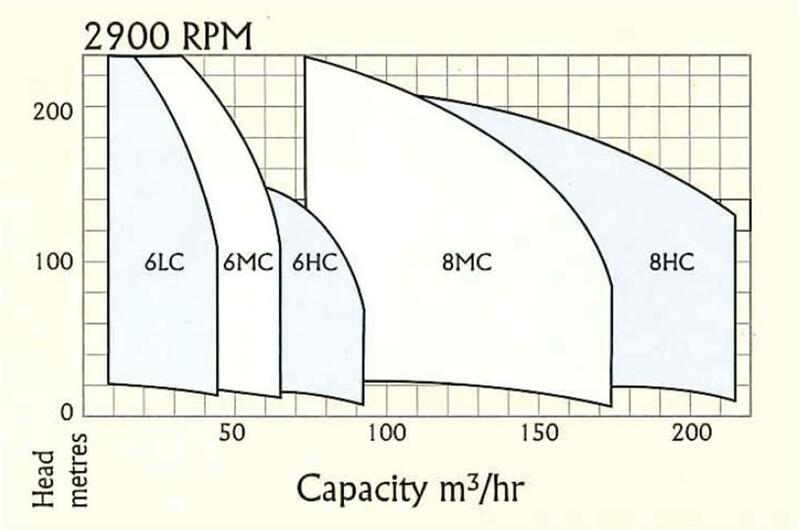 There is no suction valve with consequent cost and pressure loss savings. Efficiencies are as good as any. 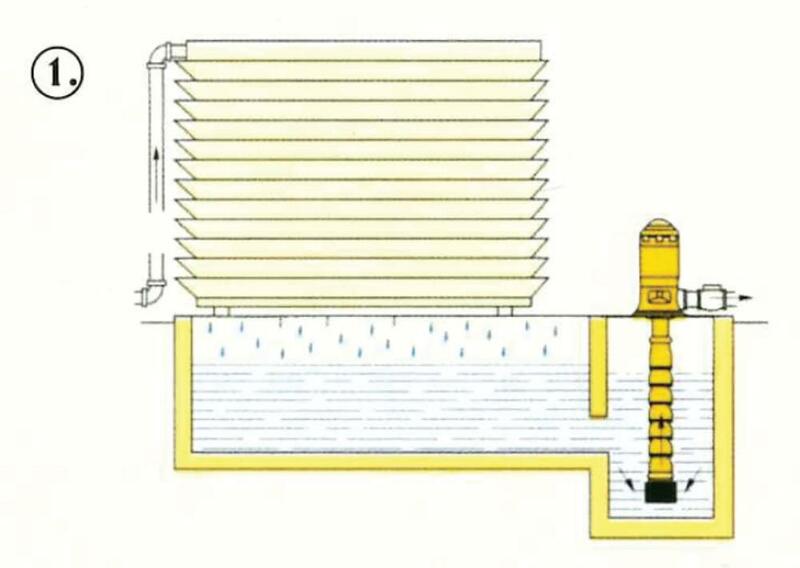 Space is saved and by using weather proof motors, there is no necessity for a building to be erected. There is no danger of flooding the electrics. By adding stages, a very wide range of duties can be covered with standard parts, thus making for cheap and readily available spares. 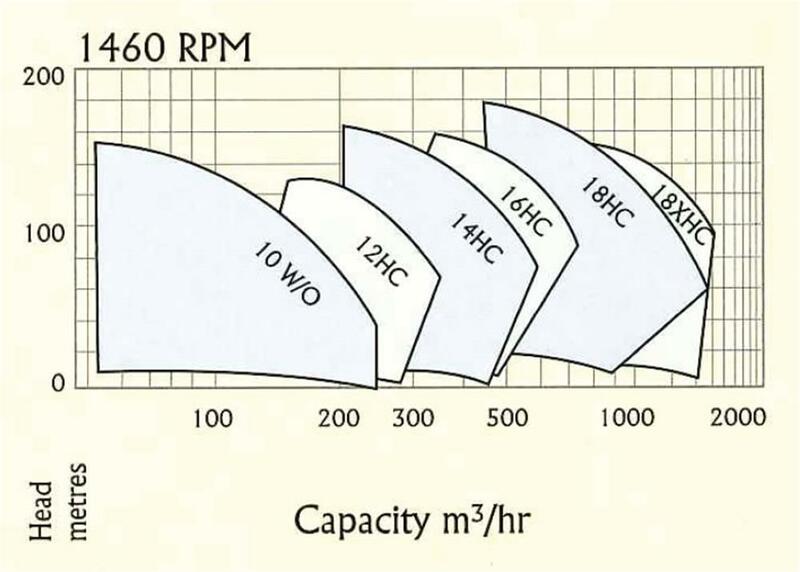 The pumps have generally a non-overloading KW characteristic, and a steep head quantity curve. 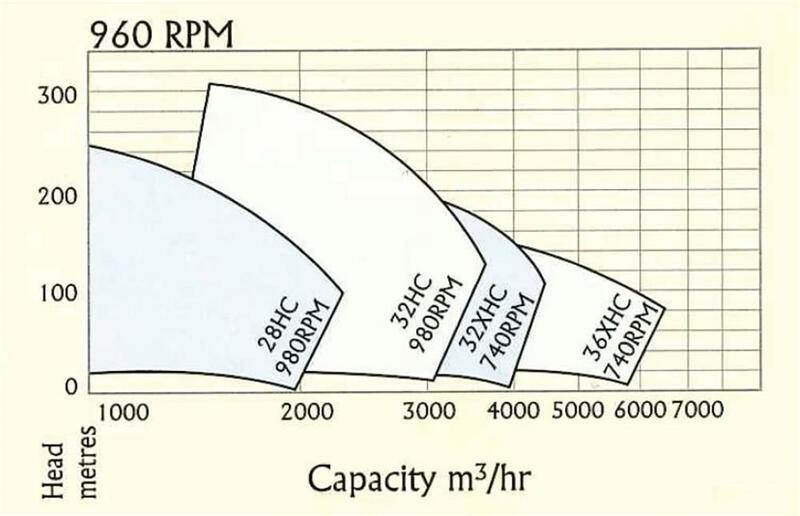 There are no radical loads on the bearings or glands, so they last longer and maintenance is reduced. In dirty water, grit tends to fall vertically out of the wear areas and so does less damage. The pump materials and assembly are selected from a number of standard variations to suit the particular application. The casings are generally made in a high quality close-grained cast irion and have long radius water passages to give the best performance in terms of efficiency and life. Casings in bronze and stainless steel are also available. 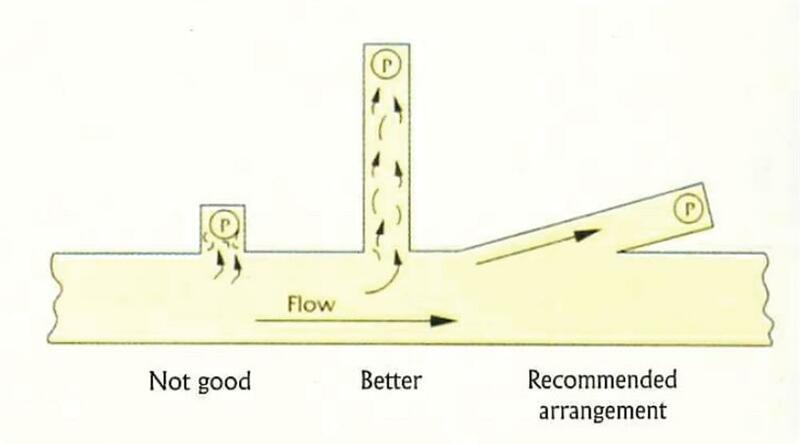 The impllers are of mixed flow design and can be either open-vane or shrouded, depending on the size. The shrouded impellers have long suction eye rings, to give good life and performance. 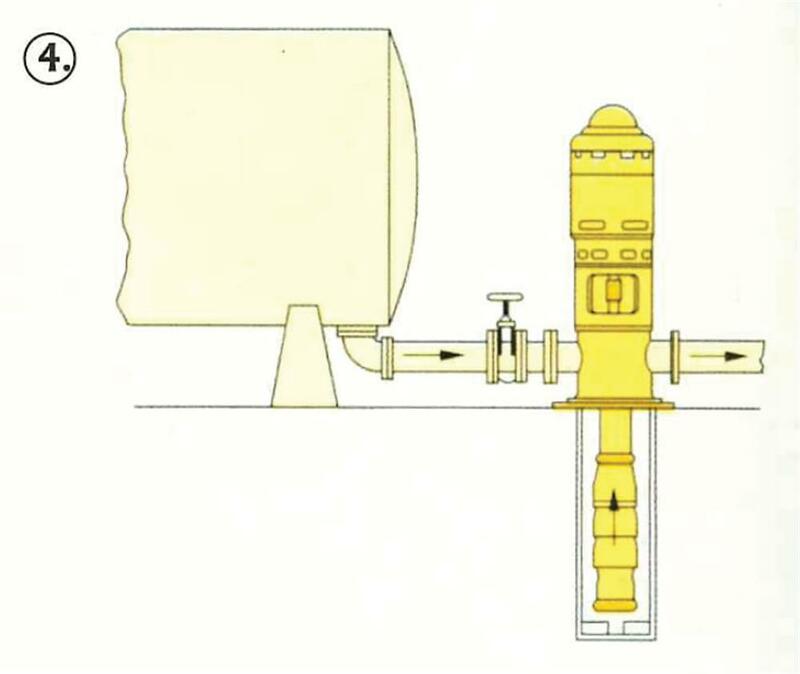 They are usually fitted to the shaft by means of a taper sleeve, using a key when the load requires it. The shaft is of stainless steel, running in bearings chosen to suit the application. These include fluted cutless rubber, asbestos compounds and bronze. They can be product-lubricated or pressure-fed grease-lubricated. The column pipe is either screwed or flanged steel suitably protected for the application. The bearing spiders are so high grade cast iron and the bearing brushes are as used in the pump. 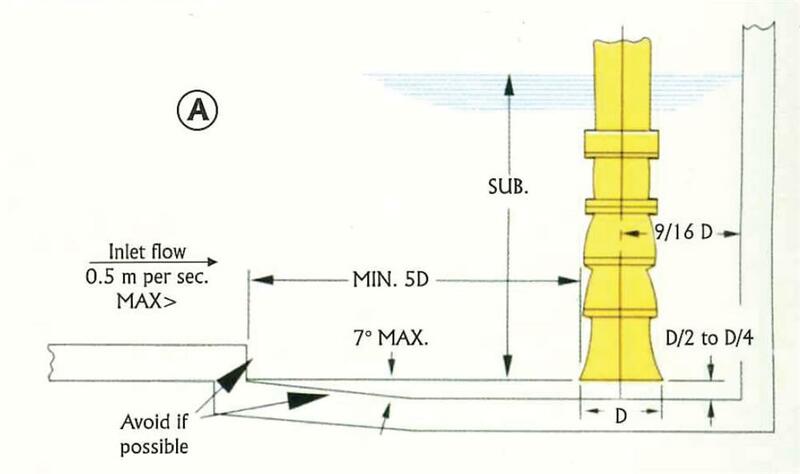 The line shafting can be product-lubricated or enclosed in a cover tube with oil, water or grease-lubricated. 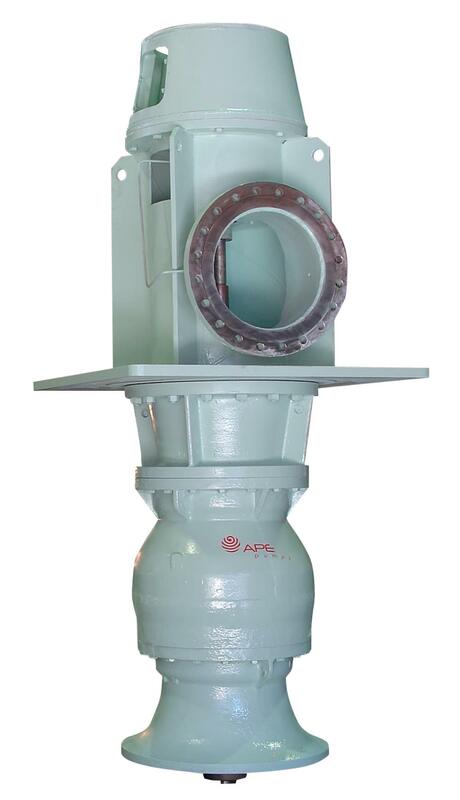 The discharge head is either a rigid cast iron or fabricated steel bend with spigotted seats for the thrust bearing and drive motor stool. It contains the housing for the stuffing box. 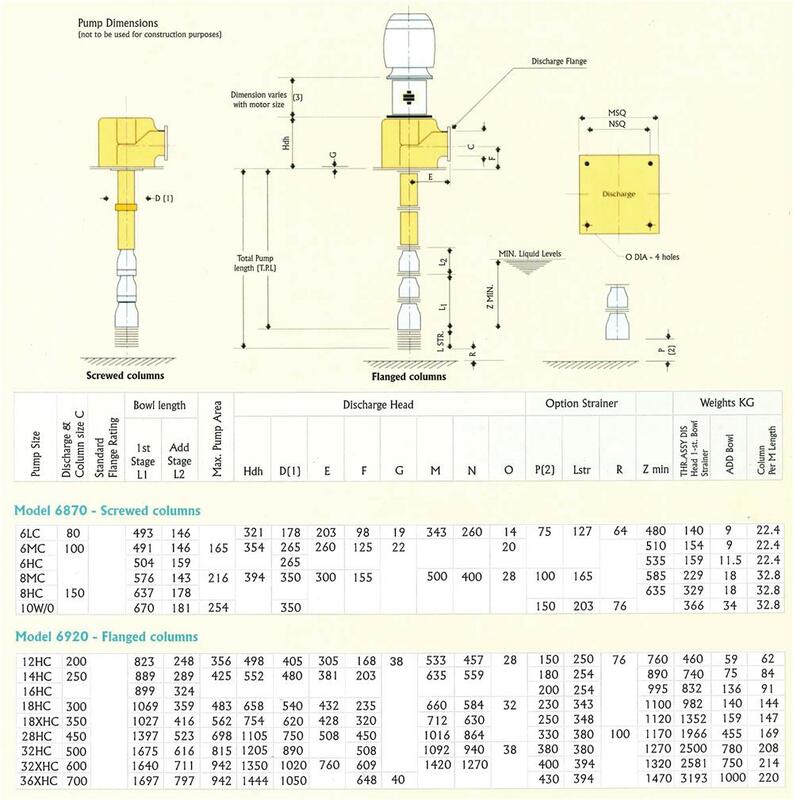 Soft packed glands, mechanical seals, or a glandless arrangement can be offered. 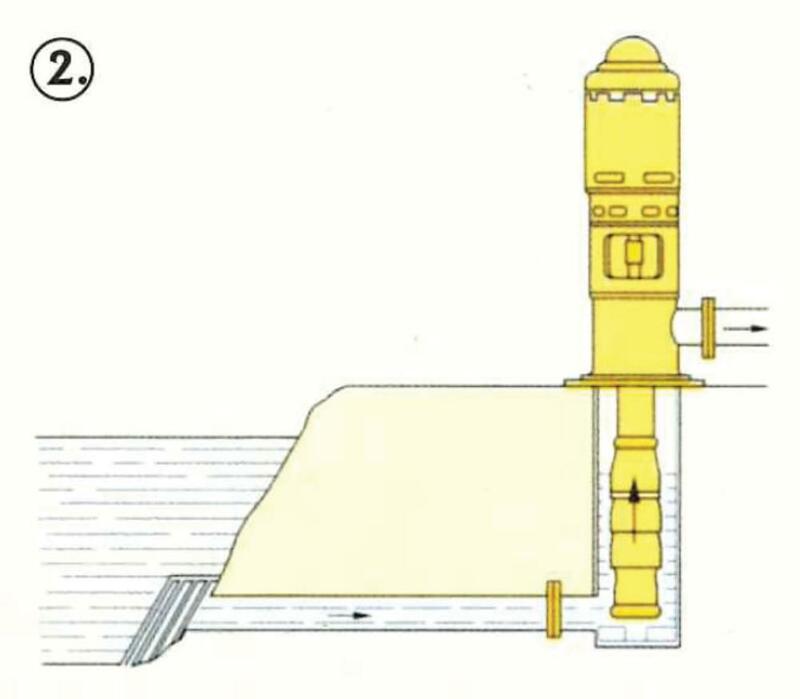 They can be suspended in wet sumps, boreholes, rivers, steel tanks or dams; in dry pits with a suction pipe connected to the bellmouth or as a "pot" pump with various positions of the inlet and outlet branches. Eliminates priming problems; multi-staged to suit pressure requirements. The pot pump is ideal for raw water intake, and simplifies structures. The "pot" pump is particularly useful for inline boosting. It requires no priming and to a limited extent is self priming. It conserves space and requires minimum civil work and operational maintenance. 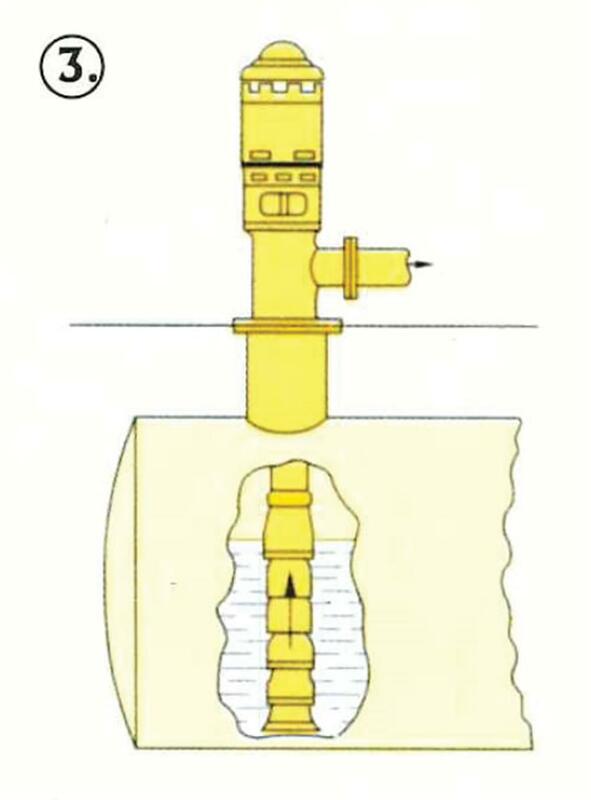 By reversing the pump bowls, the flow direction is reversed and low pressure glands result, even in very high pressure boosting applications. in other applications it can be made completel glandless. 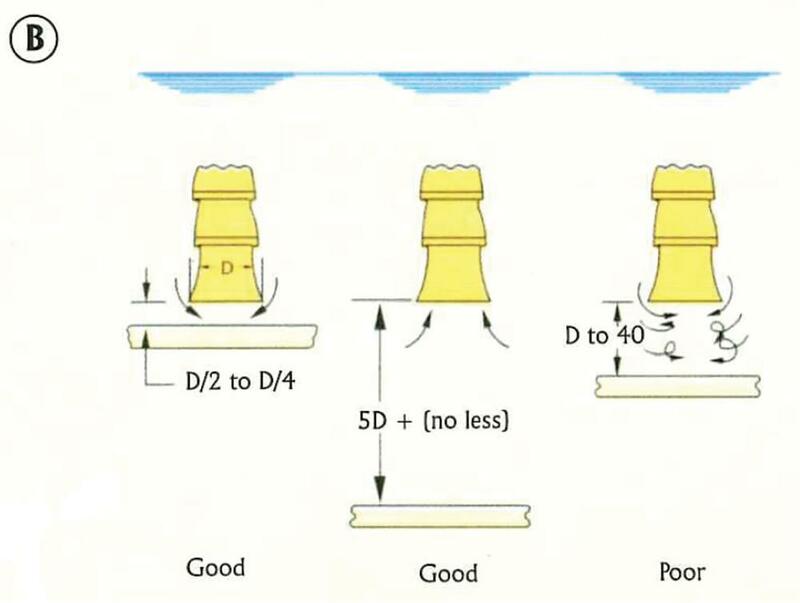 These sketches show some established criteria for proper sump design. 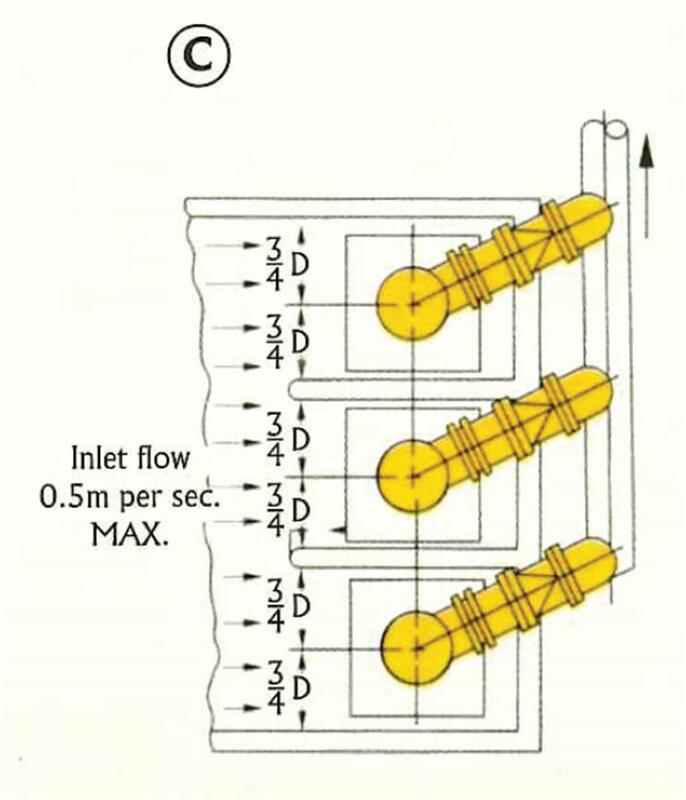 These include submergence, clearance from the floor and walls, spacing between the units when more than one pump is involved, and flow distribution and velocities.